While I did paint that target red, you can see that the BBs were not flying in a consistent stream, but rather a scattered array of projectiles. Considering this is a support weapon and its primary purpose is to provide suppressive fire, that isn't necessarily a bad thing, especially since the array is still relatively concentrated. However, I think there is a hop-up issue because of the fact that I didn't notice any change in the flight path of the BBs regardless of how much or how little hop I placed on the BBs by adjusting the hop-up dial. 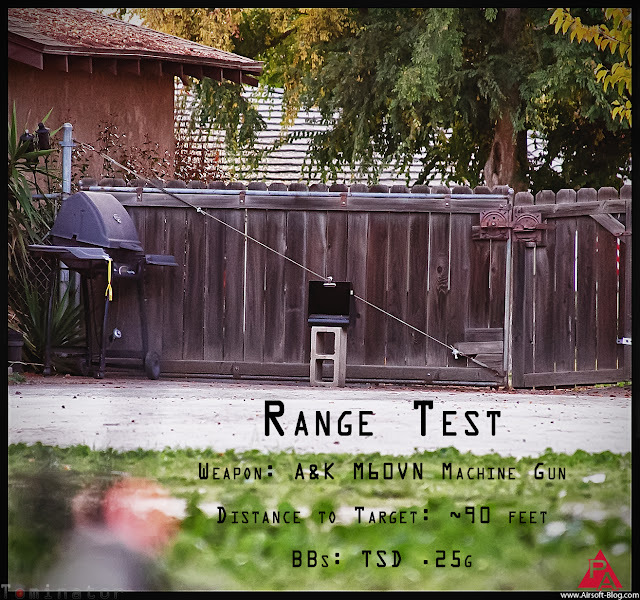 It's important to note that there are many satisfied A&K M60VN owners out there who have shared their positive experiences with others on the internet, so don't let this initial performance test deter you from your purchase, if you've had your heart set on this beast of a machine gun. I'm pretty confident, based on what I've read about these guns, that I can get that hop-up squared away and get this thing purring like a freakin' epic jungle cat. So keep an eye out for my follow-up on that. 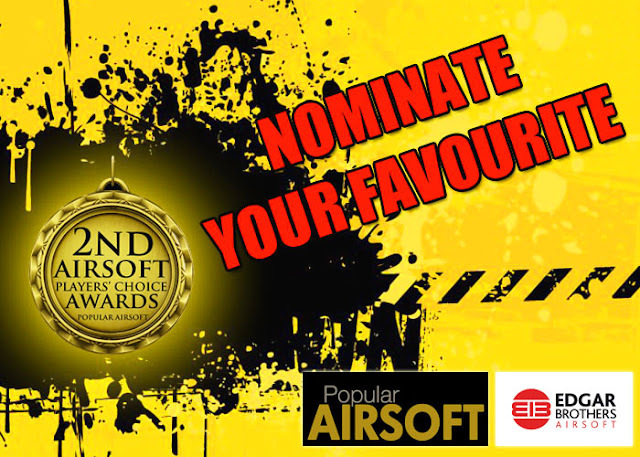 While you're waiting for the Tominator's next installment of the Pyramyd Airsoft Blog, please help him continue to pursue his passion and provide you with a continual stream of Airsoft gun reviews, industry news and other stuff from the 6mm world by nominating and then voting for the Pyramyd Airsoft Blog in the 2nd Annual Players' Choice Awards, hosted by PopularAirsoft.com. The links are below. Help me Dominate. Please Nominate! I'm still not in the lead. Is this pic not epic? Echo1 M240 Bravo and a badass combat beard. Please click this image link to the Team Blacksheep Photo Contest and just click the "Like" button on the Tominator's photo. If he wins, he will raffle off the the Echo1 ER-16 AEG from Team Blacksheep to one of the people who clicked the like button. I just want the bragging rights on this one. 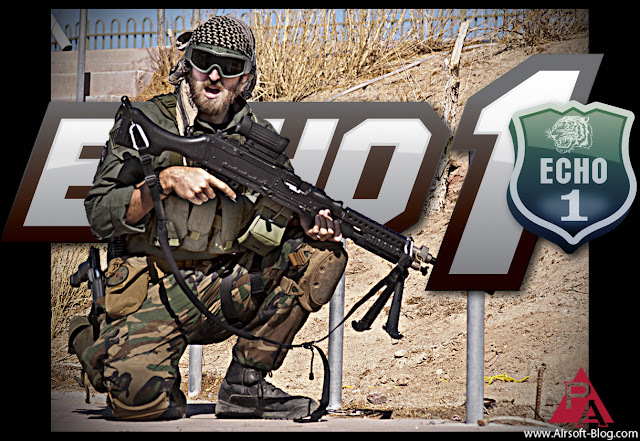 Facebook page for Pyramyd Airsoft or our Pyramyd Airsoft YouTube Channel.